Overnight in the tent camp in the centre of Lake Baikal - "Baikal Ice Camp"
You are in a good shape and you want to go for an adventure usually reserved for seasoned travelers only? You love being outdoors and you’re ready to go further into the discovery regardless of your own comfort? Then this journey was made for you. Visit ice caves and their icy overhang, and if you’re lucky enough, catch a glimpse of the Baikal seals by the end of March. Cross the Lake Baikal where it is the widest and explore the Baikal most mysterious winter places while always observing the security rules so that you can enjoy your trip safely. 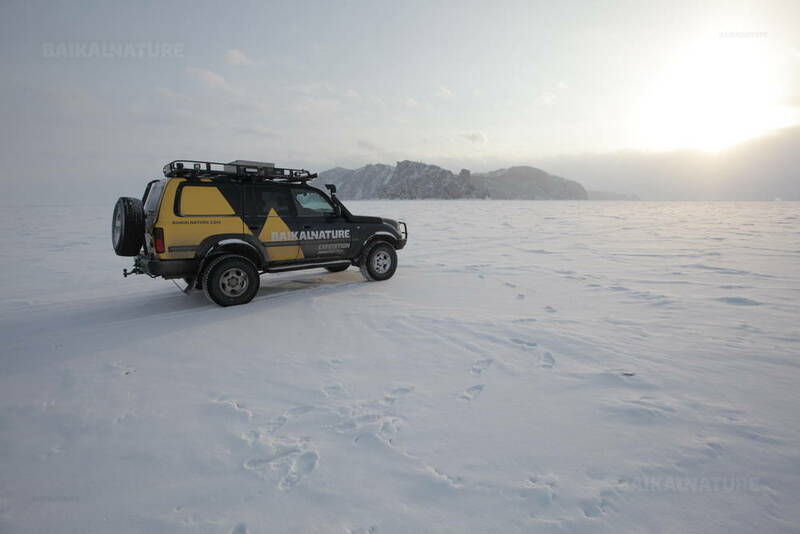 Travel on foot, by hovercraft and 4WD to see Baikal ices in all their forms: frozen capes and rocks, clear ice patches blocked in vertical columns, giant ice shards, endless windblown ice covers and snow-coated fields. Spend a night at your camp right in the middle of the lake on a 5000 feet deep water (1500 m). 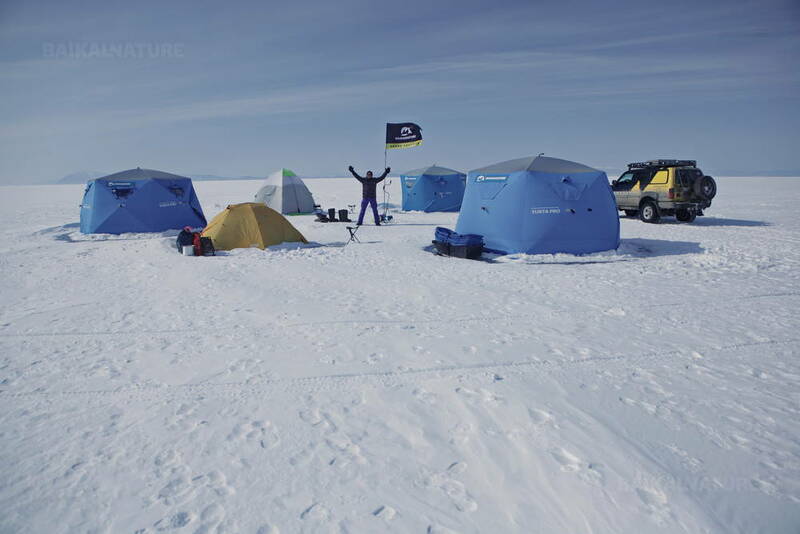 Welcome to Baikal Ice Camp! Play hockey on the clearest ice, ice skate on the deepest lake in the world, enjoy the Ice Bar menu especially designed on site and experience the purest Baikal water in the bania. Journey on ice and meet with the local anglers, taste fresh fish all of the Baikal delicacy through its flavour. 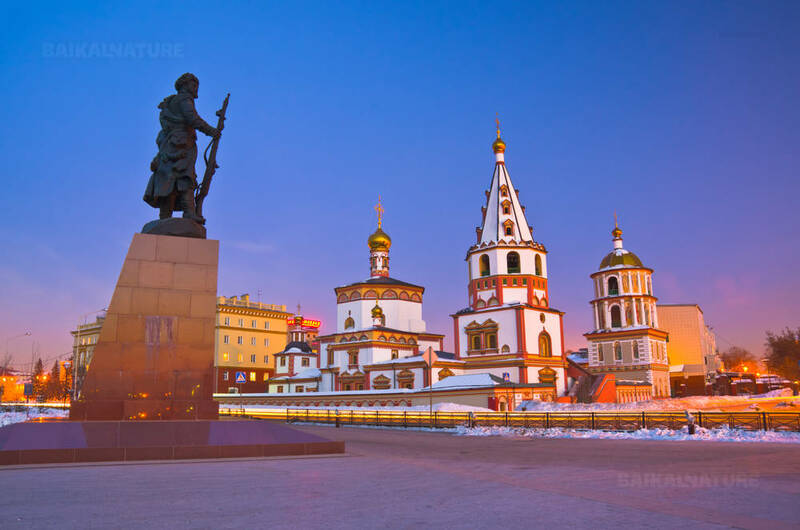 At this end of your trip, visit the Republic of Buryatia and its capital city Ulan-Ude and ride on the Trans-Siberian railway across the taiga and along Lake Baikal. As adventure-filled as this journey may be, it still contains much of cultural discovery as well. Visit the Taltsy Ethnographic Museum and enter a datsan in Ulan-Ude to taste nomadic cooking. Meeting with your guide at the airport. You will go to the village of Listvyanka situated on the Baikal shore near the Angara river source. Here you will meet the Baikal lake for the first time. Visit to the open-air museum Taltsy, discover a typical Siberian village of XVIII-XIX century. The museum has become the place of the conservation of the monuments of the popular culture. You will taste the dishes of the Baikal cuisine. Don't miss your chance to taste the omul - endemic fish of the lake Baikal. You will take the chair lift to the Chersky rock 728 metres above sea level. There is a breathtaking panorama: Listvyanka village, Angara river's source and the skyline flowing with the Baikal waters. 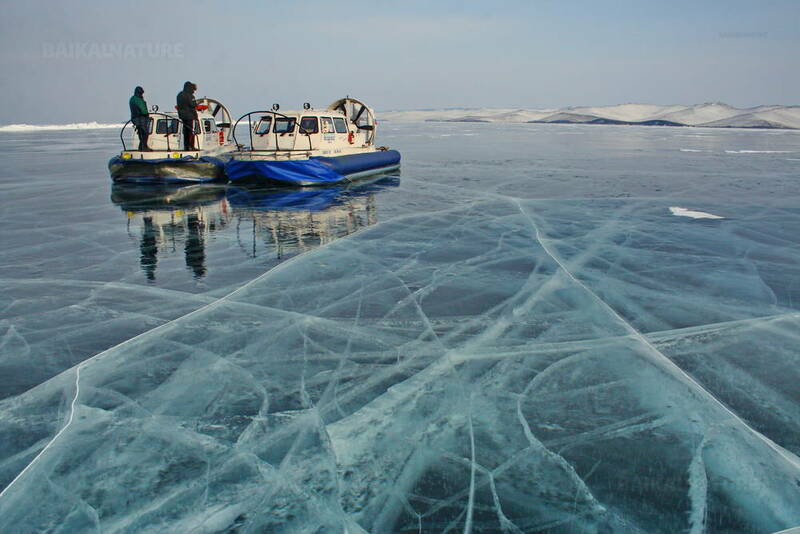 Travel by hovercraft on Baikal ice to the village named MRS on the shore of Small Sea. All journey will be on the ice. On the way we will make several stops in Sandy bay and near the rock Sagan-Zaba to observe the mountain relief and cave paintings. Check-in at your resort and rest. Transfer to the village of Khuzhir – the main village on Olkhon island. En route, you will visit the Ogoy island - the biggest island of the Maloye More. On the top of the island there is the Buddhist stupa, that also named "The stupa of the clarification". Also, you will visit the Kobylia Golova half-island (Horse Head, Khorin-lrgi) with the length about 4 km. This half-island is very tight and cuspate. It's landscape and scarps are really impressive. The name stems from the fact that one of its capes is shaped like a horse's head. 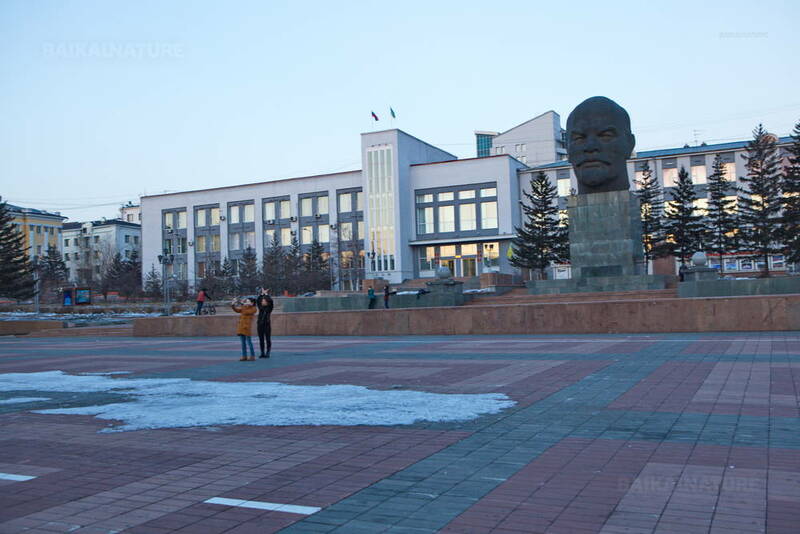 Excursion around the village, discovery of the Burkhan Rock, "place of residence of the Baikal's God" and one of the nine sanctuaries of Asia. Today you will go on the ice of the lake by 4x4. You will spend a night in the real camp on the Baikal ice situated in the geographic centre of the lake on the boundary between the Irkutsk region and the Republic of Buryatia. En route, you will visit the Belenkiy island (White), the habitat of thousand of gulls, you will stop near the cape Tri brata (Three brothers, Sagan-Hushun) with its picturesque ice caves and, of course, you will visit the most popular place of the island - the Khoboy cape. Here the giant ice-hummocks remind the radiating rays. The ritual of meeting and greeting where every participant of the group can try to bore the ice. The briefing. 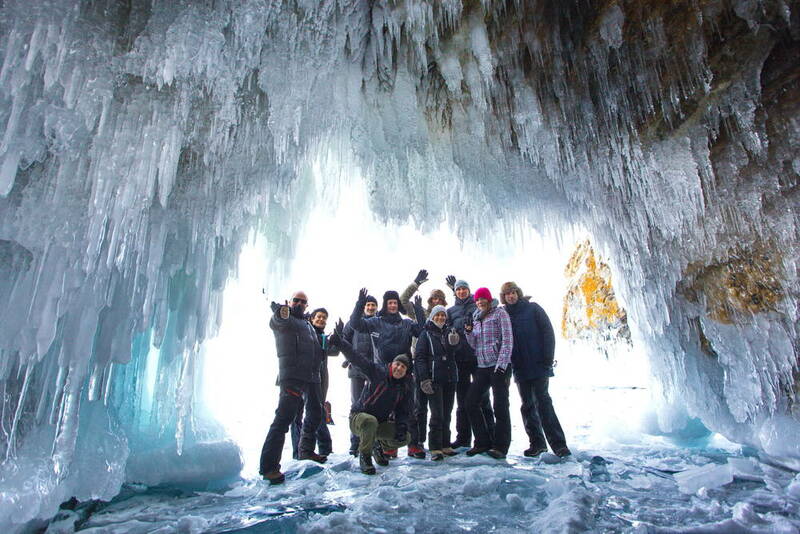 You have a possibility to spend a night on the ice of the lake Baikal over 1500 metres of the water column. Hot meals (food cooked on gas burner). For those who prefer the active rest, we suggest to go skating or to walk near the camp. The transparent ice, the ice-hummocks and breaks will allow you to make thousand of photos. 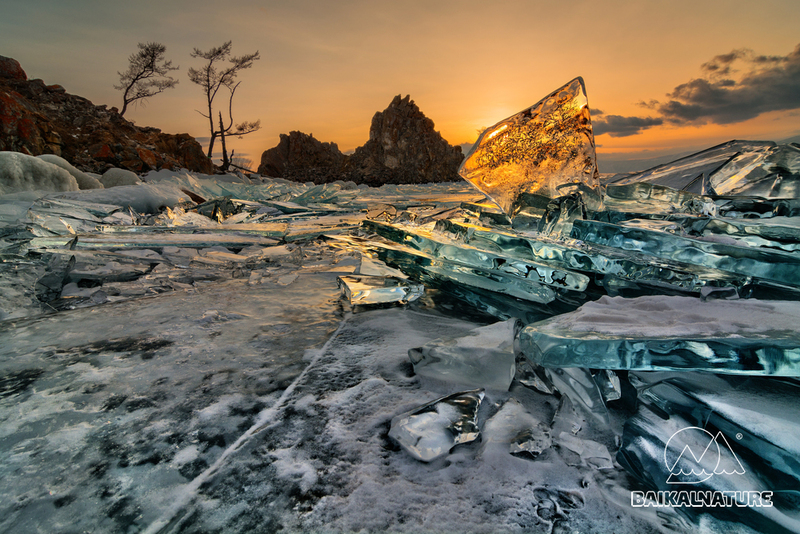 If you are keen of the photo, we suggest you to wake up earlier and make photos of the Baikal ice in the morning sunshine. For those who like the measured rest there is an Ice bar - the special menu of the ice exotic things. The purest ice is everywhere - around you and even in your glass. Departure by 4x4 to the gulf Chivyrkuysky. 7 islands - natural monuments and sources of hot water makes this excursion the most popular among the tourists. Departure to Ulan-Ude, the capital of the Buryat Republic, by private car. Visit of the Ivolginsky datsan, serving the most important place of worship in Buryatia and the centre of Buddhism in Russia, located outside the city in a beautiful steppe. Transfer to airport. End of the program. Single supplement - 7 600 RUB / pers. The price includes breakfast on Day 2-7, lunch on Day 1-6 and dinner on Day 2,4-6. We can switch the category of rooms or accommodation according to your request. Please contact us before your departure. The price of the tour includes travel health insurance for persons under 65 years. Avis globalement satisfaisant et bien organisé. Guide de remplacement décevante car réticente aux sorties sur la glace/neige/froid... dommage car au cœur du voyage. Très peu de marche par rapport à la description (30mins max au lieu des 1H à 3H décrites). Petit groupe apprécié, chauffeurs et contact agence très professionnels. Merci ! Merci pour votre remarque! Nous parlerons avec votre guide Oksana et prenons en compte votre suggestion pour le futur. Merci beaucoup pour vos suggestions! Nous en prenons compte pour nos futures voyages! Altogether it was a great trip. My expactations were met in full. Our guide Mark did a great job, too. The only thing I would recommend avoiding the Chinese Restaurant in Khuzhir. After having dinner there I had gastro-intestinal disturbances for the whole night - the worst possible ever in my life. Dear Manuela, thank you for leaving the comments on your stay and paying out attention to the quality of food in this particular restaurant in Khuzhir. We will take into consideration your remark and henceforth pick a different place where to feed our tourists.